Hooking an audience? Sweating in a job interview? The results of what you say aren't coincidence. Whether you persuade, or not, is down to whether you use the right prompts. The Centre Brain— the body's action centre—responds to what it hears. And, if the right prompts are used, the brain can be persuaded to act. This book explains why your communication works, or doesn't. Why you prompt action, or don't. The result of a 20-year quest to discover what prompts action, this book offers readers a glimpse into the story behind their stories. Combining psychological insight, real-life experience and inspiring application, this book will empower you to really make the most of your message. 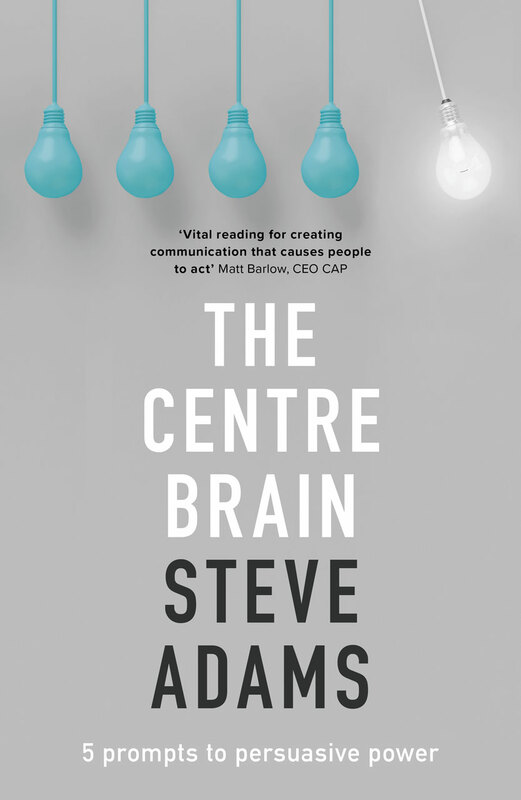 Steve Adams works with charities and organizations using Centre Brain as the basis for reviewing, changing and achieving lift-off in brand, communication and organizational story. Steve also runs half and full day seminars, offering a general introduction to Centre Brain, with specific application for participants from a range of contexts, charities and organizations.